NBC is using a ” gun trafficking expert” from an organization called Global Exchange as a source in their latest anti-Trump screed. 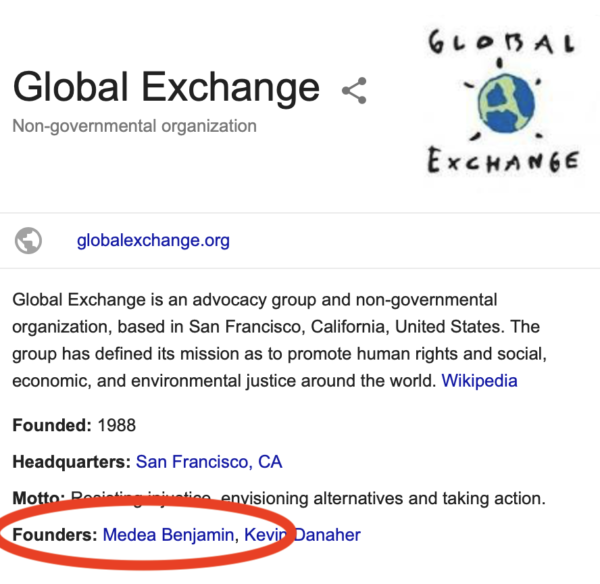 Oddly, they fail to mention that Global Exchange is the group that organized and funded the Hamas Flotilla against the Jews of Israel in 2010. The story involves Rep Ilhan Omar (D-MN), who is protesting a move by the Trump administration to streamline regulations, including in the arms industry. Two of the guns used in the Christchurch massacre were semi-automatics. 11 days after the shooting, the gun lobby tried to defend the policy before Congress. It’s almost as though Trump sold the guns to the Christchurch shooter himself! 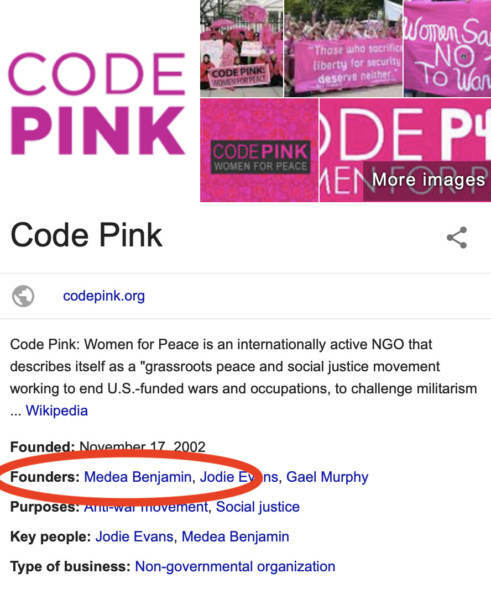 And then NBC quotes a “gun trafficking expert” from Global Exchange, without telling you that Global Exchange is the parent organization of Code Pink, and the organizers of the Hamas Flotilla! When Global Exchange isn’t helping NBC spread propaganda, they’re busy attacking Jews in Israel with their violent and genocidal flotillas. In the following video taken on one of their flotilla’s the Global Exchange folks can be heard chanting genocidal messages to Jews. Gaza flotilla participants chanted Islamic battle cry invoking killing of Jews. The name Khaibar mentioned in battle cry was the last Jewish village defeated by Muhammad’s army in 628. The battle marked the end of Jewish presence in Arabia. So, yeah, thanks to Josh Lederman for quoting friends of Hamas in your piece about gun trafficking, NBC. 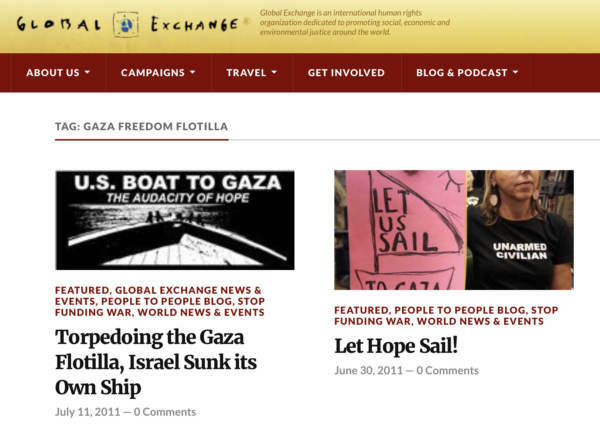 Hey @JoshNBCNews why are you using Gaza Flotilla organizers, Global Exchange, as a source in your report for NBC? And why don’t you mention that your “gun trafficking expert” belongs to the group that organized the Gaza Flotilla?